Nine Midwestern states hold gubernatorial elections this November, and many are expected to usher in new Democratic governors come 2019 – or at the very least a competitive battle for the seat – including Illinois, Iowa, Kansas, Michigan, Minnesota, Ohio, and Wisconsin. Each of those states except for Minnesota would be pick-ups. An additional Midwestern state that has not received as much ink for its gubernatorial race is South Dakota, where Republican congresswoman and presumptive favorite Kristi Noem faces state Senate Minority Leader Billie Sutton. [And a potentially very consequential third-party candidate, Libertarian Kurt Evans]. Noem was crowned the early favorite not only because she has already won four terms to statewide office – and each of the last three by double-digits – as South Dakota’s at-large U.S. Representative, but also because the Democratic drought for governor is longer in South Dakota than any other state in the nation. No independent public opinion polls have yet been released of the 2018 Sutton vs. Noem matchup, but both polls commissioned by the Sutton campaign this summer show a close race. Prognosticators are all over the map as to what will happen in South Dakota next month with the Cook Political Report rating South Dakota’s contest a ‘toss-up’ while Real Clear Politics calls the state ‘safe’ for the GOP. So just how shocking would it be for Sutton and the Democrats to pull off an upset in the Mount Rushmore State? For starters, South Dakota Democrats have lost 26 consecutive statewide elections since 2010 and each of the last 10 races for governor dating back to 1978. The last statewide victories came in 2008 when Tim Johnson and Stephanie Herseth Sandlin were reelected to their U.S. Senate and U.S. House seats respectively. Democrats have only come within single digits in one of these 10 gubernatorial defeats the party has incurred over the past 40 years (Lars Herseth’s 3.6-point loss to George Mickelson in 1986). Utah is the only other state where Democrats are currently in the midst of a double-digit losing streak for governor, losing each of the last 10 contests since 1984. The 10-cycle GOP winning streak in South Dakota is the third longest for the party, having previously won 13 elections for governor in a row from 1900-1924 and 11 straight from 1936-1956. In total, Democrats have won just eight of 54 elections for the office since statehood with four of these recorded by incumbents (Governors William Bulow in 1928, Tom Berry in 1934, and Richard Kneip in 1972 and 1974). In open seat races like the state is facing this cycle with term-limited Governor Dennis Daugaard leaving office next January, Democrats have tallied a record of just 1-24 over the decades. The only Democrat to win an open seat race for governor was state Senator Ralph Herseth in 1958 who defeated two-term state Attorney General Phil Saunders by 2.8 points. Democrats own a slightly better 3-20 record against Republican incumbents and are 4-2 when defending the seat at the ballot box. If Senator Sutton does win the governorship next month, his victory would be particularly unusual if the party fails, as is expected, to win any of the other six races for statewide office on the ballot. Republicans are also facing open seat races for secretary of state, attorney general, auditor, and treasurer although its nominees for secretary of state (Auditor Steve Barnett) and Auditor (Treasurer Rich Sattgast) currently hold statewide elective office. The GOP is running incumbents in elections for commissioner of schools and public lands (Ryan Brunner) and the public utilities commission (Kristi Fiegen). Only former Beresford Mayor William Bulow managed to win the governorship with the party failing to win any other statewide election – doing so in 1926 and 1928. 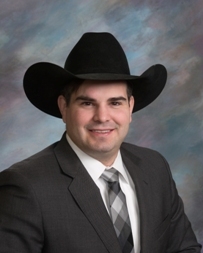 2 Comments on "Can Billie Sutton End the Nation’s Longest Democratic Gubernatorial Drought?" The SD US House-At Large seat does NOT count as a statewide office. ‘Statewide office’: It is a statewide election and the office currently represents the whole state, so an argument can be made.